This dough can be used to make several things: white bread, Fouggase, Puff Balls, Rolls, Breadsticks, Baquettes and Pain de Mie. Please watch Richard Bertinet’s video below to see how to work the dough by hand. I have made this bread several times and the best measurement for water is the weight measurement of 434g. if you want to use more or less flour, then simply multiply the weight of the flour by 0.7 to get the amount of water you’ll need. For example 600g x 0.7 = 420ml or 700g x 0.7 = 490ml water. 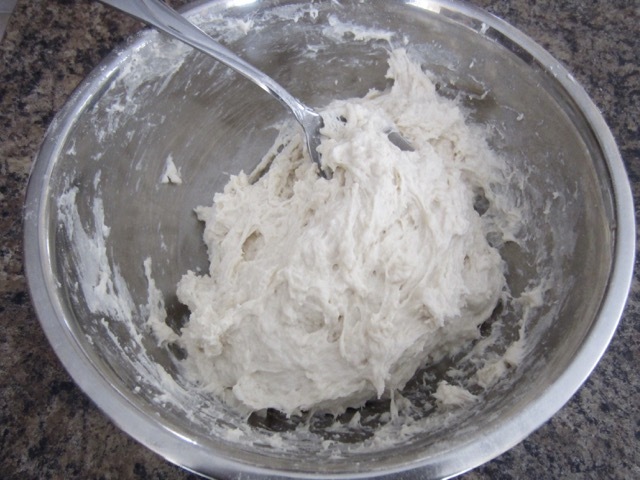 Mixing the dough: rub the yeast into the flour using your fingertips until it disappears into the flour. Make a well in the centre, then add the water and salt into the well. Hold the bowl with one hand and use a plastic dough scraper to mix, 2-3 minutes until a dough starts to form. After about 3 minutes the dough should look like thick sticky porridge. With the help of the rounded end of the scrapper, turn the dough onto the counter. The dough will feel very soft, sticky and moist but do not add more flour and do not flour the counter. 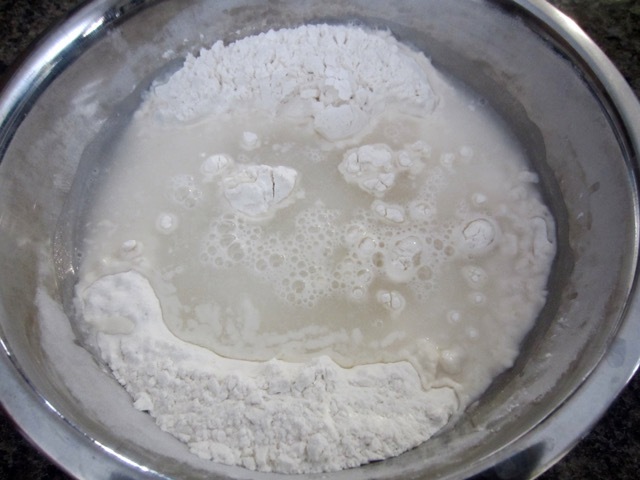 Using a mixer with dough hook: put the flour into the bowl of the stand mixer and rub in the yeast using your fingertips until it disappears into the flour. Switch the mixer onto the lowest speed and add the water and salt mix for 2 minutes, then turn up the next lowest speed and mix for another 6-7 minutes until the dough becomes smooth and elastic. 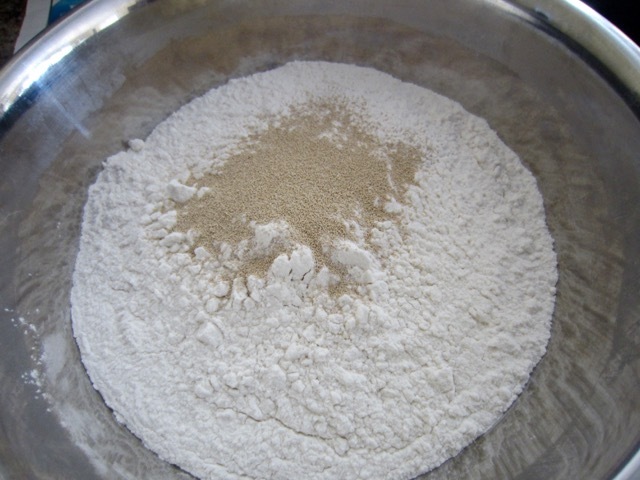 Remove the dough from the bowl, transfer to a lightly floured surface and form it into a ball. 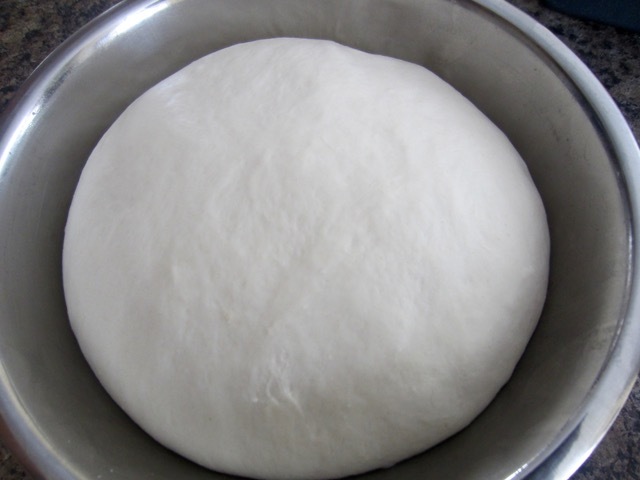 Resting the dough: lightly flour the inside of the bowl and put the ball of dough in it. Cover with a lint-free towel or cling film or plastic bag and let the dough rest in a draft free place for 1 hour or until doubled in size. The dough is now ready to make the following: white bread, Fouggase, Puff Balls, Rolls, Breadsticks, Baquettes and Pain de Mie. Mr. Bertinet highly recommends that the ingredients be weighed, including the water. Use strong bread flour, preferably organic. In Canada all-purpose flour has 13% protein content so I just used the normal all-purpose flour here. This kind of dough results in a lighter, more airy and flavourful bread. Make a well in the centre, then add the water and salt into the well. With the help of the rounded end of the scrapper, turn the dough onto the counter. The dough will feel very soft, sticky and moist but do not add more flour and do not flour the counter. Work the dough by stretching and folding to trap the air inside. It will be very sticky in the beginning but as you continue stretching and folding, it will come together and feel alive and elastic in your hands (you have to watch the video below to learn the technique). Ideally it should take just 5 minutes to reach elasticity but for a beginner it may take 8-10 minutes. 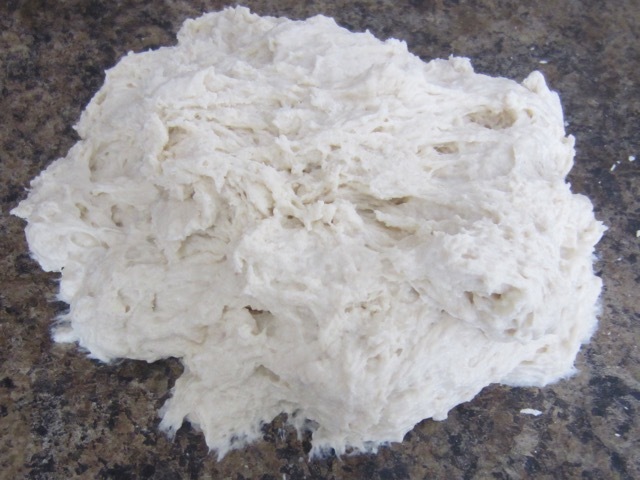 This is the final dough after stretching and folding to trap air, for five minutes. The first time, it probably took me 13 minutes. I was exasperated. Lightly flour the inside of the bowl and put the ball of dough in it. Cover with a lint-free towel or cling film or plastic bag and let the dough rest in a draft free place for 1 hour or until doubled in size. This is the dough after resting for 1 hour. It was soft and elastic. As I said, this dough can be used to make several things: white bread, Fouggase, Puff Balls, Rolls, Breadsticks, Baquettes and Pain de Mie. 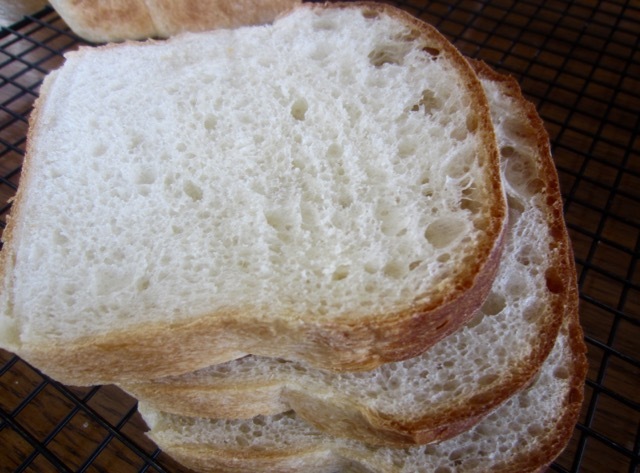 Use fresh yeast if possible and no need to add sugar and warm water to activate the yeast. To use fresh yeast, rub it into the flour using your fingers (the way you rub in butter). Water. use tap water at room temperature. Salt: use organic sea salt, if possible. Kneading the dough. Richard’s method is called working the dough, which essentially gets air and life into the dough. Resting the dough. it should take about 1 hour covered with lint-free dishtowel in a warm, draft-free place. 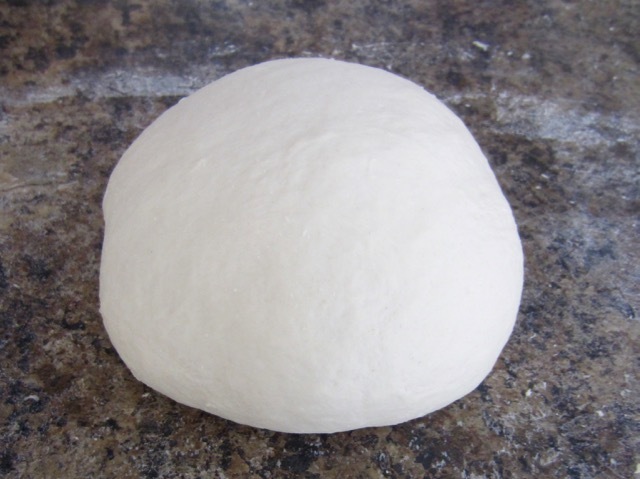 During this time the dough rises to about double its size and develops flavour. Second rising: this will take about 1 hour. It’s done after the dough has been shaped into loaves or rolls and it should rise to just under or double its size. After the first rising the dough is not punched down, it’s gently removed from the bowl, turned upside down and the outside edges are folded on themselves a few times, pressing down each time and turning the dough around. Folding and pressing is also the technique used to mould the dough into different shapes. Ferment: some bakers use the term ‘levain’ which means a piece of dough that has been left 4-6 hours to “ferment’. This adds character, flavour and lightens the finished bread. A few of the breads use ‘poolish’ which is just the name for a particular style of ferment. Baking Bread: every time you bake, pre-heat the oven in advance, to 475ºF (250ºC), with the baking stone or heavy tray in it. Breads made with sweet dough should be preheated to 425ºF (220ºC). For some of the recipes you’ll need to turn the oven to a lower temperature just before you put the bread in the oven. Measuring ingredients: all ingredients should be weighed, if possible, including water (liquids). Incorporating ingredients: some recipes call for fruits, nuts or spices and these should be added at the end of working the dough (kneading the dough) either by hand or in a mixer. Always use good quality ingredients. To freeze the bread: partially bake the bread and cool it completely. Wrap with parchment and seal in a plastic food bag. To bake frozen bread: put the bread in a cold oven and set to 400ºF and bake for 12-15 minutes or until the oven reaches the 400ºF temperature. If baking in an oven preheated to 400ºF, then bake 8-10 minutes. Prev What is a Croissant? Thanks for sharing the video. Will def have to try it!